West Wycombe is a charming village in the midst of the rolling hills of Buckinghamshire. The Royal Society for the Encouragement of Arts, Manufactures and Commerce saved many of its buildings from imminent destruction in 1929, purchasing it in March of that year. Successfully breathing new life into the village, The Times claimed in 1934 that revenue from the village had jumped. In 1933, the society turned over the property to the National Trust, which extended its holdings in the following years. With Sir John Dashwood’s gift of the Church Hill in 1935, the 300-acre estate in 1943, and an accompanying endowment, the National Trust became the largest property holder in West Wycombe. 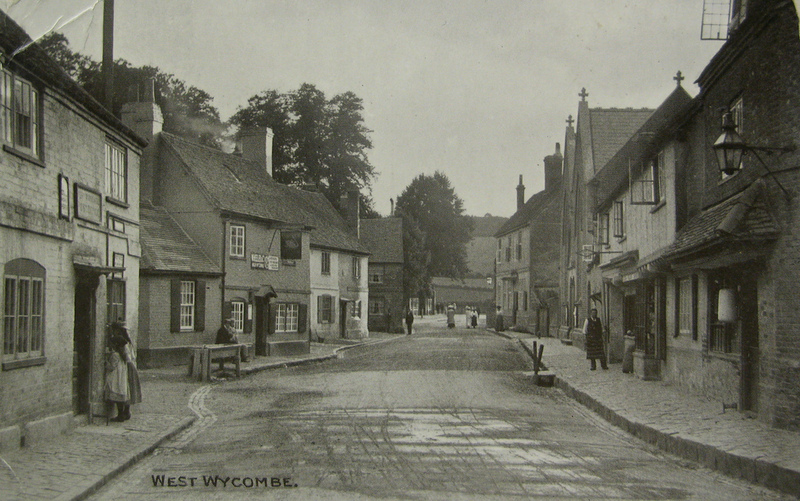 West Wycombe’s origins date to Iron Age Britain, when a fort rested on the 600-foot hill that dominates the landscape. The manor was the property of the Bishops of Winchester until the sixteenth century, and records of it can be found in the Domesday Book. The village’s modern origins derive from its important location halfway between London and Oxford. Today, travelers along the High Street can see cottages and houses built between the sixteenth and eighteenth centuries. Unfortunately, the traces of this urban connection remain, and much of the bucolic atmosphere for which the Royal Society for the Encouragement of Arts, Manufactures and Commerce no doubt saved the village in 1929 is rattled by the A40, which runs through its center. During the early modern period, West Wycombe passed through a series of owners until Thomas Lewes, Alderman of London, transferred the title to his brothers-in-law Sir Samuel and Francis Dashwood in 1698. The Dashwoods, Levant merchants, specialized in the silk trade and were well connected in London society. The brothers’ father, Francis Dashwood, was an Alderman of London, and Sir Samuel became Lord Mayor of London in 1702 – the same year that Queen Anne knighted his brother Francis. Upon Sir Samuel’s death in 1706, Sir Francis purchased his brother’s share in West Wycombe manor from his heir, George Dashwood, for £15000. At this time, Sir Francis held prominent positions in the Vitner’s Company, the Royal African Company, and the East India Company. He also made politically successful alliances, marrying Lady Mary Fane (d. 1710) the daughter of the Earl of Westmoreland, in 1705. 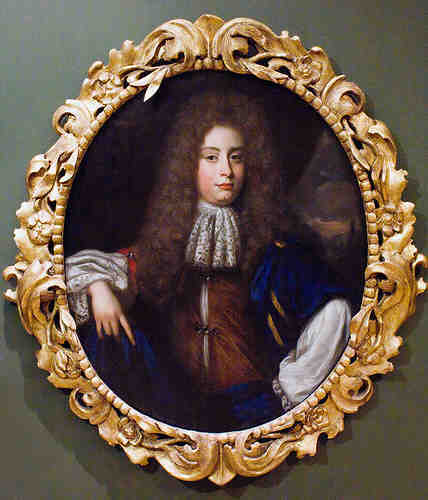 The king made Sir Francis a baronet in 1707, and an election to Winchelsea in 1708 solidified the rise in his family’s social status and influence. By the time he died on 4 November 1724, his first son, Francis (1708-81) was well positioned for a career in government. Citation: Jason M. Kelly, “Secretism and the Cultivation of Reputation in the Eighteenth Century,” Secrets of the Hellfire Club Blog (19 February 2012), https://hellfiresecrets.wordpress.com/2012/02/19/west-wycombe-and-the-dashwoods/. Times, 6 February 1934, no. 46671, p. 11, col. d.
 Times, 19 February 1934, no. 46682, p. 15, col. c.
 Times, 23 July 1935, no. 47123, p. 11, col. e; Times, 23 December 1943, no. 49736, p. 7., col. b. Great Domesday Book, National Archives, London E 31/2/1/143v-146r. Magna Britannia: Buckinghamshire, vol. 1, part 3 (London, 1813), 679; Hayton et al., The House of Commons, 1690-1715, p. 843; The National Trust, West Wycombe (London, 1996), p. 1. Hayton, et al., House of Commons, p. 843. This entry was posted on Sunday, February 19th, 2012 at 21:19	and posted in History. You can follow any responses to this entry through the RSS 2.0 feed.